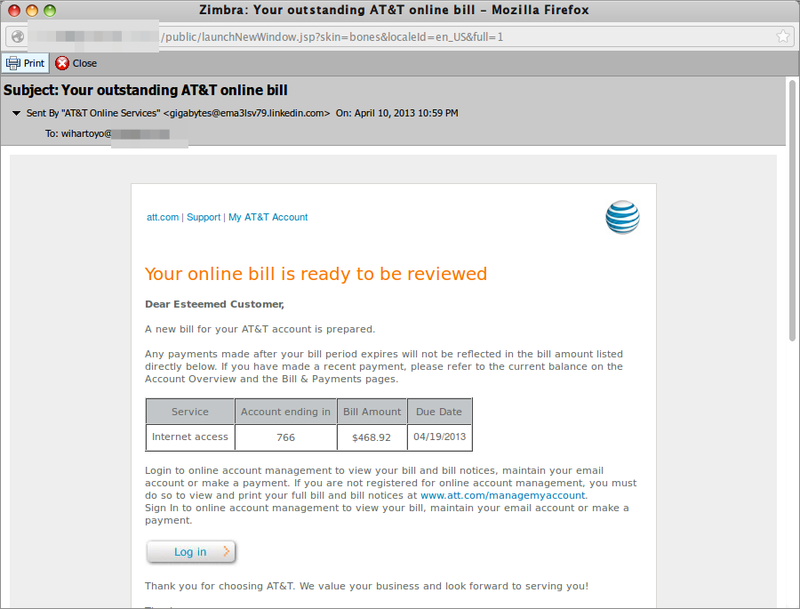 Strayed AT&T bill "Your online bill is ready to be reviewed"
Today I was very surprised with the bill from AT&T. What? AT&T? 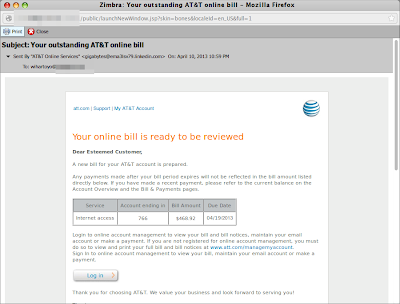 Alamaak...., what business I have so AT&T send bill to me. Ha ha ha..... maybe they have imaginary service run in Indonesia. Damn fake e-mail strayed to its alien world. Hi hi hi hi: the moral message of this story is: "Forget all bill come from AT&T internet connection service if you are staying in Indonesia. It is malware."